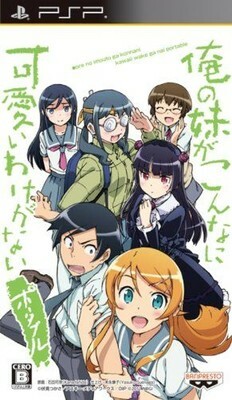 The first TV series may be over, but the story of Oreimo has only just begun! 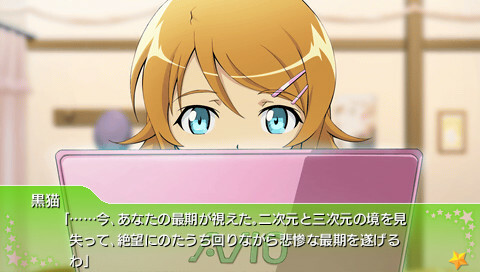 Now you can control the destiny of Kyousuke as you interact with the cute girls in your life and deal with your little sister Kirino's otaku whimsy. 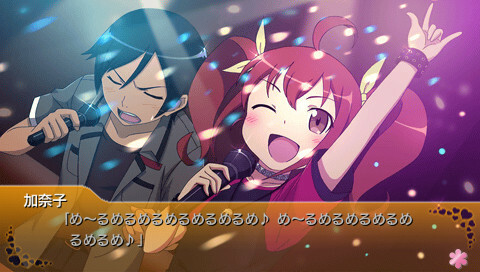 Packed with over 20 possible endings and dozens of great in-game CG, the regular dialogue is enthralling as well as it's powered by the "O.I.U." 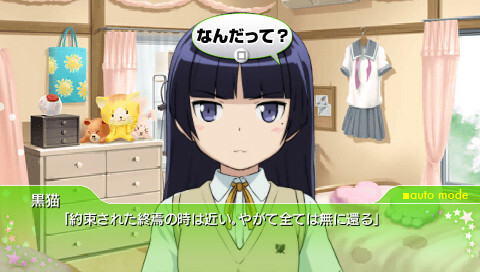 graphics system, or "Ore no Imouto ga konnani Ugoku wake ga nai" system ("There's no way my little sister could move like this!). 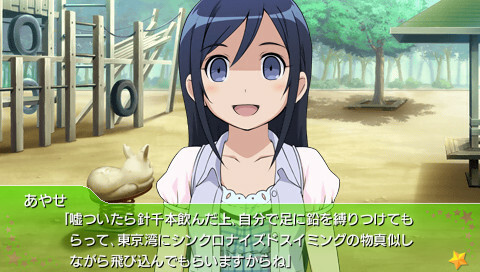 It's a 2D real time feature animation system that has the characters reacting emotionally and with gestures to the dialogue choices you make. 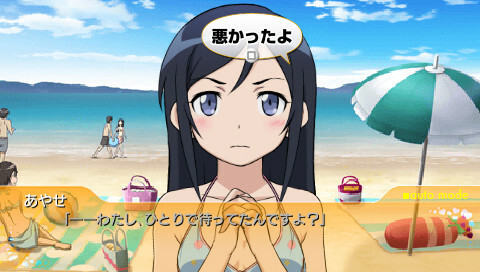 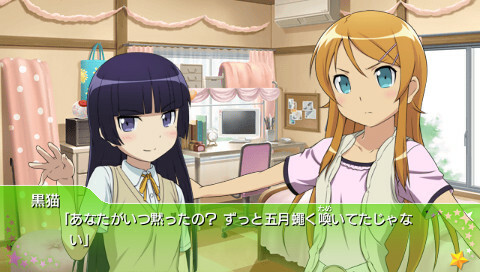 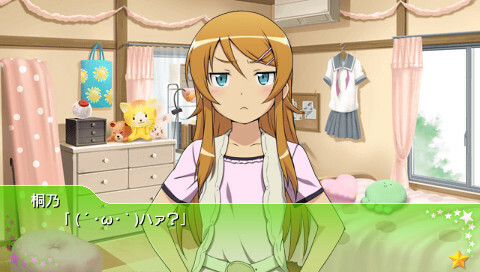 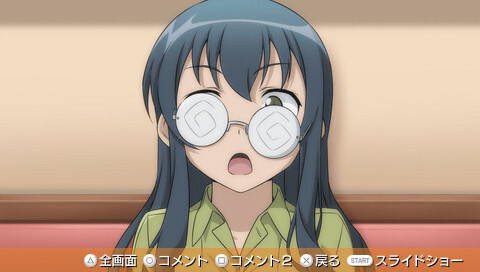 Live out your dream scenarios with your favorite Oreimo characters in this great "what if" game!